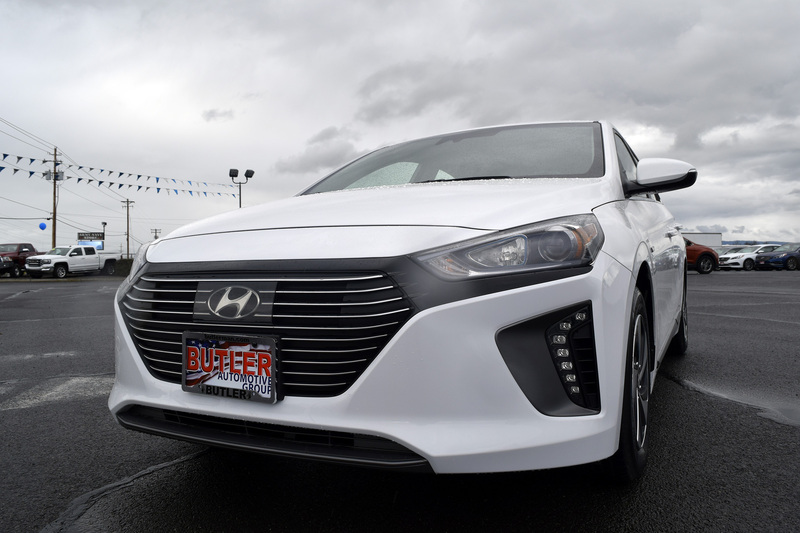 The Ioniq, Hyundai’s first dedicated hybrid vehicle, took 12 years to develop and perfect, and our first impressions suggest it was well worth the wait. The Ioniq is the first vehicle to ever be made available in hybrid, plug-in hybrid, and electric vehicle form. The Ioniq Hybrid, which is the first member of the Ioniq lineup to arrive at our dealership, will be the highest-volume member of the Ioniq family, but the Ioniq Electric and Ioniq Plug-In Hybrid are sure to be the perfect fit for drivers who are looking to make gas station visits a thing of the past. Having the best fuel economy in the compact car segment is a bit like having the most horsepower in the supercar segment: no matter what your competition has going for it, you’re sitting at the top of the heap. The Prius held the MPG crown for a long time, but Hyundai’s first hybrid offering is also the first to outdo Toyota at their own game. As if the Ioniq’s segment-best 58 MPG wasn’t enough to get your batteries charging, it also edges out the Prius in horsepower and torque figures. Toyota’s reputation will keep the Prius moving, but you can bet the Ioniq has some engineers sweating. Don’t get us wrong: we think the Ioniq is an elegantly designed, attractive car. But one of its biggest advantages in the hybrid market is that you could mistake it for a Sonata in a parking lot. While hybrids and EVs like the Prius and the Nissan Leaf seem to be competing to design the weirdest looking small car, the Ioniq looks like a new Hyundai. If you love the fuel economy that comes with driving a hybrid but don’t need every other car on the road to know you love fuel economy, the Ioniq might just be the car for you. Electric batteries in cars have come a long way in the last 10 years, and the Prius’ eight year, 100,000 mile battery warranty will likely be enough for the vast majority of drivers. That said, Hyundai is offering a lifetime warranty on all of its Ioniq models. That gives the Ioniq a leg-up in the hybrid segment, but gives it a tremendous warranty advantage in the all-electric and plug-in hybrid segment, where concerns over battery degradation are much more common and warranties typically max-out at 100,000 miles. We’ll be writing more about our new favorite hybrid as we become better acquainted with it, and look forward to getting behind the wheel of the electric and plug-in hybrid variants. Until then, please let us know if you have any questions about Hyundai’s eco-warrior!